Organisations that do not yet meet all of the above criteria, but are working towards it, may join as a provisional member (as long as there are no existing full member in that country). Registers that operate in an area smaller than a country (such as a Provence or State) where there is no national register, may also apply for provisional membership. This is explained in more detail in the Guide to ICREPs Structure and Operations form below. ICREPs supports the development of one registration system per country. Where more than one registration system meet the above criteria, the system that has the most quantifiable industry support will be recognised by ICREPs. 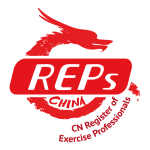 For more information on joining ICREPs, please contact us. Organisations that wish to enquire further about membership should contact ICREPs. A detailed application from can be provided that outlines ICREPs criteria in more detail, as well as the principles on which ICREPs is based. For more information, review the setting up a register page (under Resources in the menu-bar). 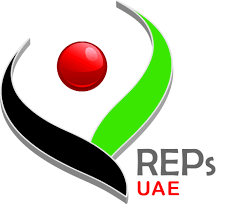 It is recommended that all potential applicants download the first document (ICREPs Structure and Operations), as in addition to outlining the different types of membership (provisional and full), it also has an overview of how ICREPs operates, and how its members (national registers) interact with each other, as well as the annual cost of membership. Note: If you are an exercise professional, ICREPs does not register individuals directly. If you operate inside a country that has a National Register that is an ICREPs member, you should contact them directly about registration. This is explained in more detail here. For a list of members, see the logos at the bottom of this page, and follow the links (click on the logo) for more information.